I firmly believe that babies are not expensive. It’s the opposite of what I hear from people every single day, but I truly believe that babies are actually pretty cheap. It’s all in how you approach it. I’ve written a series that so many moms and mothers-to-be have found helpful, so I thought I would put the series all on one page. In fact, all of these areas combined are a huge reason why we can afford for me to stay at home with our children. 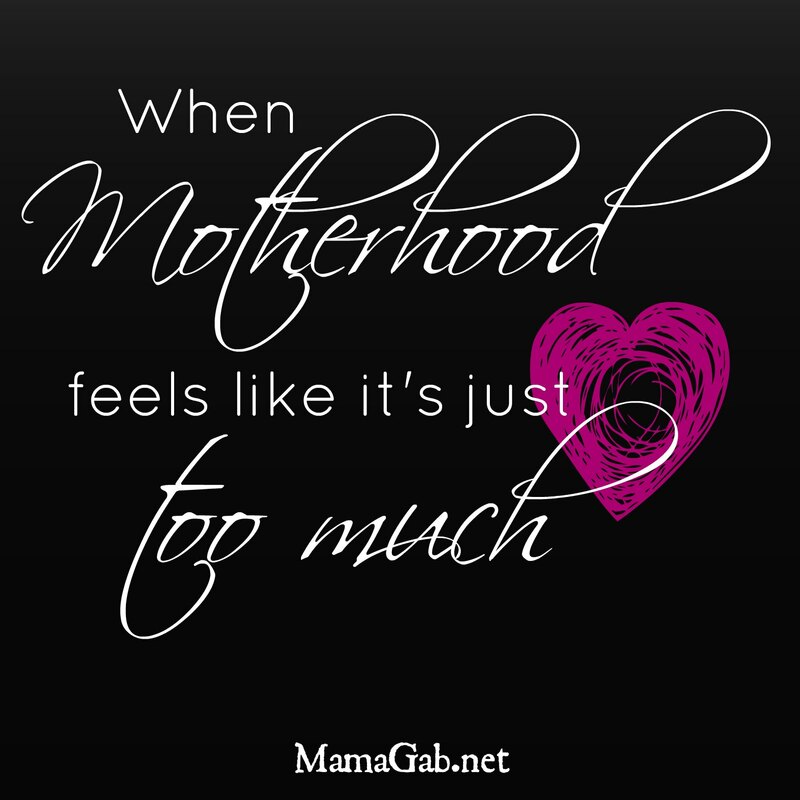 If we spent money on all of the usual things that people buy for babies, we would never have been able to afford for me to be a stay-at-home mom to our three children. 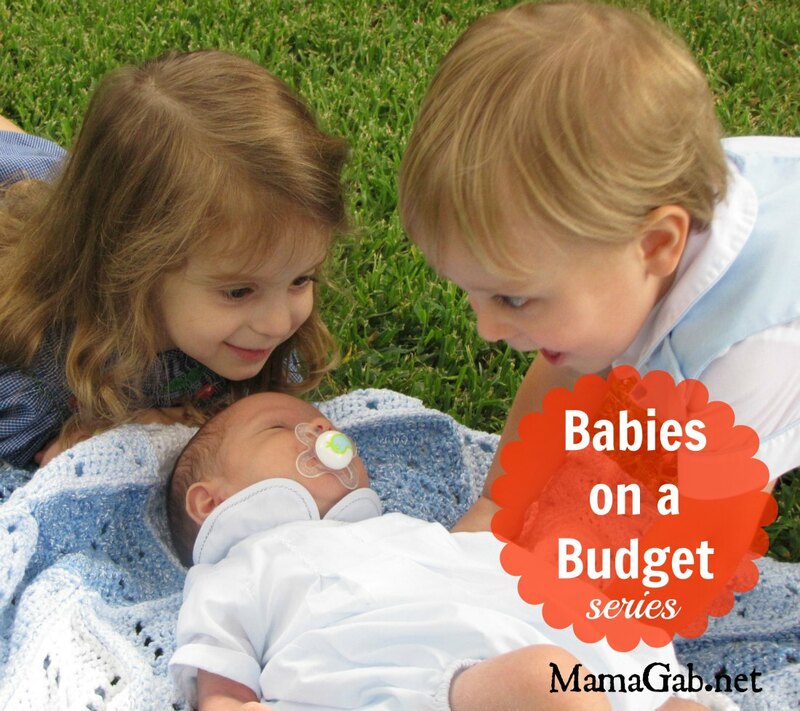 Intro to Babies on a Budget: You would not believe how much the “experts” say that babies should cost you in their first two years of life. I say be a rebel. Have babies on the cheap. Nursing: Breastfeed that baby, if you can! Just how much can it save you? Check out the post. Make your own baby food, Part 1 & Part 2: I really had no idea how cool, how crunchy, how Martha Stewart-esque I would be by making my own baby food. I thought I was just being cheap. It was only later that I learned that it was the cool thing to do. Part 1 gives you my philosophy on it and the long-term benefits of making your own baby food. Part 2 gives you the nuts and bolts of how to do it. It’s easier than you think. Baby Gear: Beg, Borrow, & Steal: We received so much free baby gear from friends and family and it’s made the rounds through each of our three babies. Garage sales were another great source of inexpensive baby gear. My favorite way to score deals at garage sales is to let my mother-in-law or someone who is an avid garage saler in on it. I can tell her what I’m looking for and she’ll be all over it. Make Your Own Baby Gear, when you can, or have someone else make it for you. You’d be surprised at the things you can get cheaply this way. Accept Hand-Me-Down Clothes: This continues to be a huge money-saver for us. I spend very little money on my kids’ clothes, but they’re always dressed nicely. Organizing Hand-Me-Down Clothes: Here’s how we keep them all organized. This works for all children’s clothes, new or not. We don’t give away clothes when our kids have outgrown them because we don’t believe God is finished growing our family just yet, and there’s no way we could afford to replace the kids’ huge wardrobes. Consider Cloth: You knew I was going to go there at some point, didn’t you? It’s no secret that I love my cloth diapers. This is a huge money saver and worth looking into. I’ve got tons of posts on cloth diapers, but you can also check out my favorite cloth diapering book (maybe even the only cloth diapering book! ), Confessions of a Cloth Diaper Convert. It’ll save you tons of time on researching cloth diapers. My Perspective on Saving Money: We have to keep our long-term and short-term goals in mind. If we’re all about impressing people, then we’re not going to save much money. But if we focus on being a good steward of all that God has given us, then that changes things. Which of these money saving tactics do you use to save money on your children? Great post! Nursing takes a lot of self discipline but it saved us so much money! Thanks! I had no idea how much determination I had until I tried and struggled with nursing! I just found your blog from Chronicles of a Babywise Mom. I love this post–it’s ridiculous how much the “experts” say babies cost in one year. I’ve got three little ones and not one of them has come close to costing near what the experts say. My littlest is six months old right now and I’ve decided to make all her baby food–I didn’t with the first two. I’ve got a start, but I’m excited to read your philosophy and instruction pages! Thanks! It’s so easy. Your friends will think you’re a gourmet or something, but it’s ridiculously easy to make your own baby food. I hope you enjoy it! Found you through Fellowship Fridays. I love this and we try to save money by keeping things simple, too. I mean my family homebirths, cloth diapers, breastfeeds, baby wears, etc….so there just aren’t really any gadgets or things to spend money on. That’s awesome. All of those things really add up and make it possible for us to stay at home with these babies God has blessed us with. God always provides for little ones, and a lot of times, He provides by enabling us to be resourceful and work hard at being frugal! I love keeping it simple with my kids, cloth diapering, making their food, hand me downs, goodwill, trading, etc. All of it. Though I tried nursing, it didn’t work out for any of my children, which a part of me still regrets. But we’ve done what we can! And my kids aren’t as expensive as the ‘experts’ always say! I am sure you did the best you could do with nursing! And you are right–simplicity is usually the best approach. That’s exactly what I say too: They’re only as expensive as we let them be! Thanks for this info. I don’t have kids yet, but I am definitely pinning this for future reference. Thanks so much, Ashley! I’ve been enjoying your blog. I completely agree with you! Thank you for sharing! encourage one to continue your great posts, have a nice day!